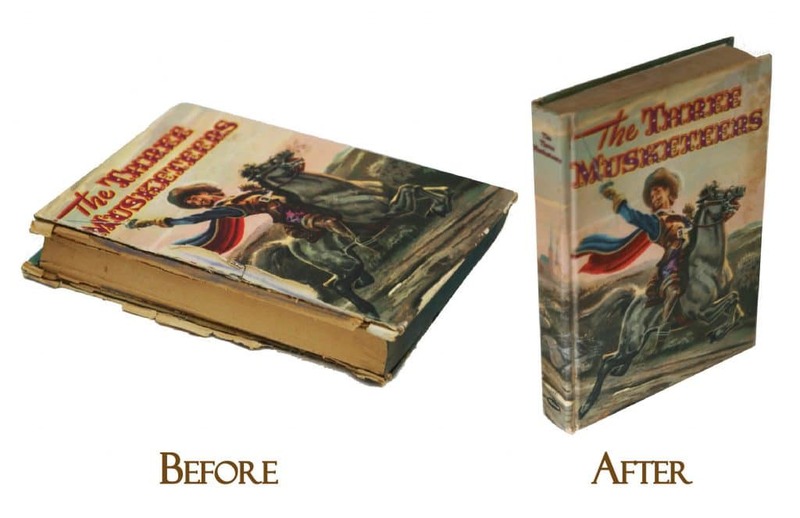 This Three Musketeers book was missing all of the graphic art on the spine. 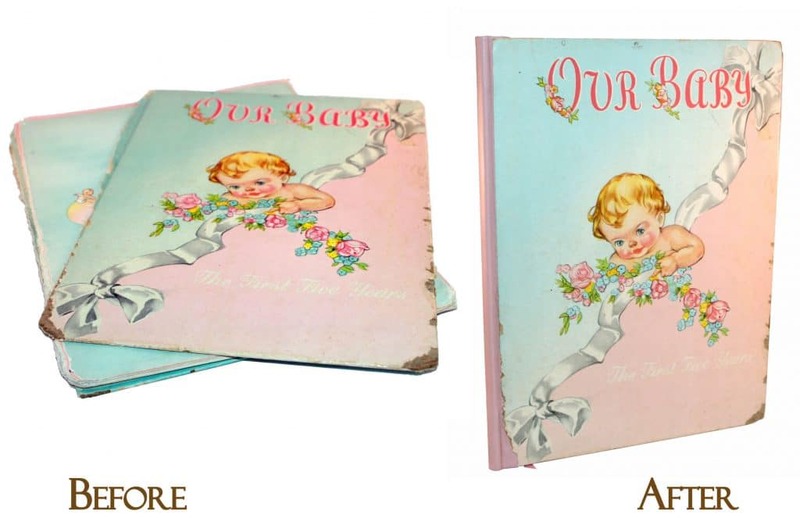 We used graphic design and recreated the cover and printed on paper and then applied a protective laminate. 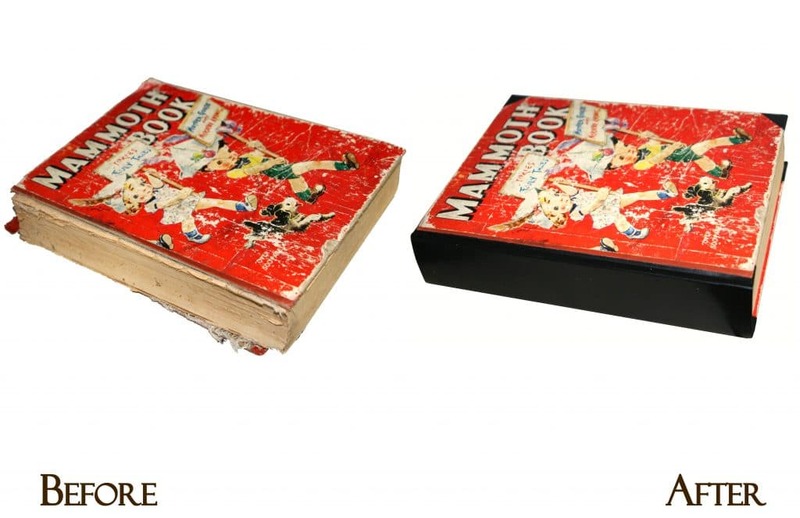 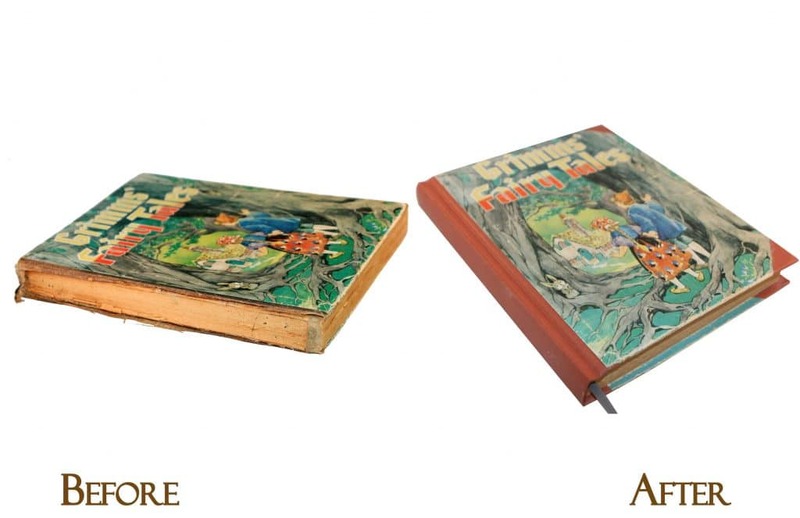 The bookbinder then cased in the original book block with all of its original "scrabbles", drawings and crayon marks. 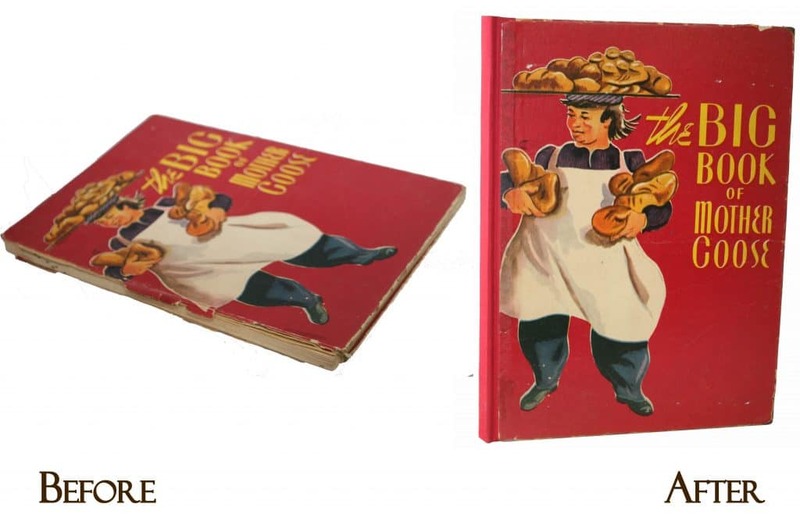 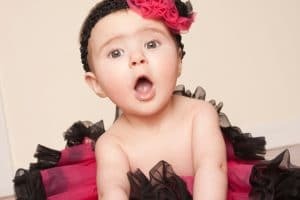 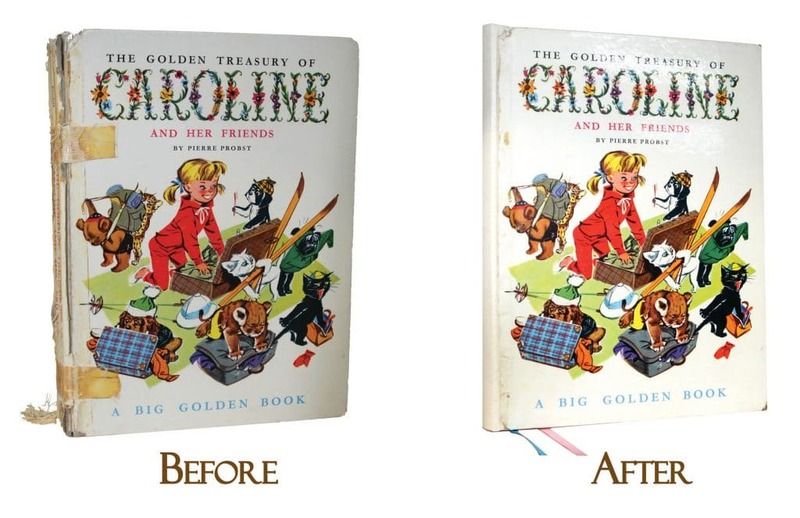 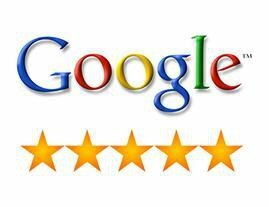 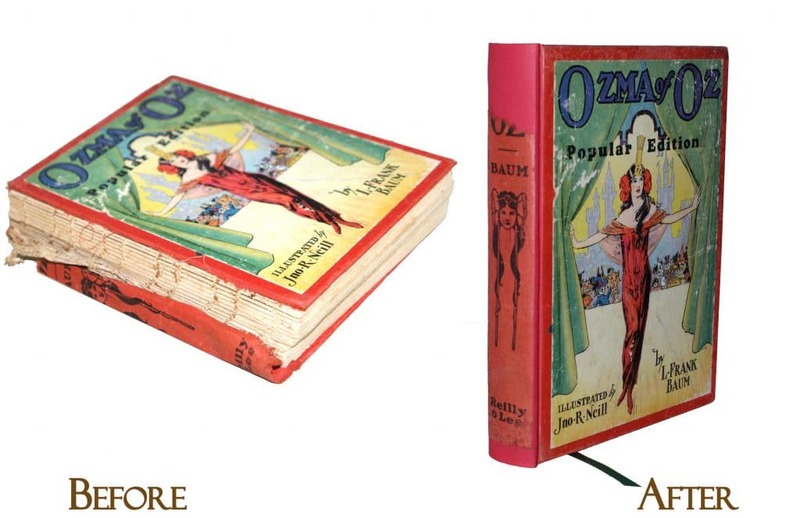 Sometimes, customers prefer to have a fresh clean look to their favorite children's books and going with a new cover is an excellent solution. 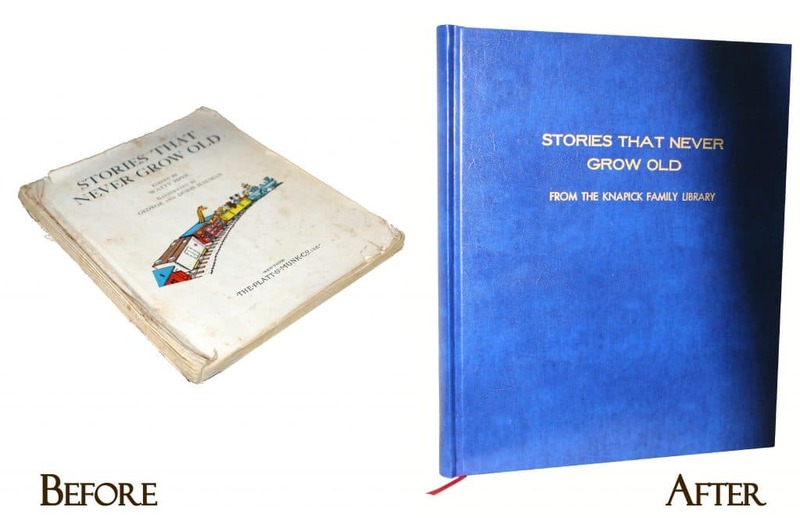 Below are some Children's books where we created new covers. 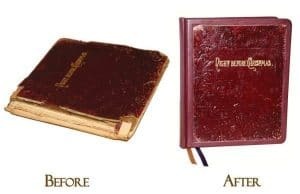 Because new cover options are similar to our Bible Rebinding service, customers are encouraged to see our process under Bible Rebinding and to look at foil stamping options. 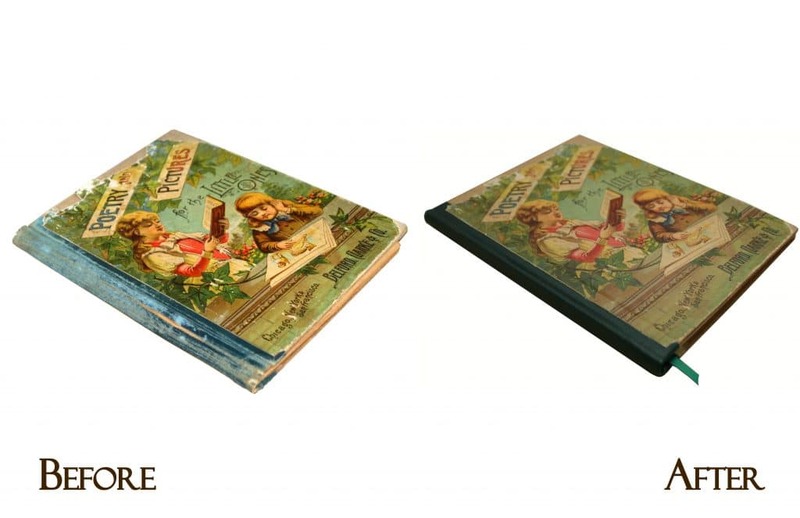 In the children's book "Stories that Never Grow Old", it did not have a cover, so we created one and in collaboration with the customer selected this blue bonded leather cover and customized it with foil stamping in gold. 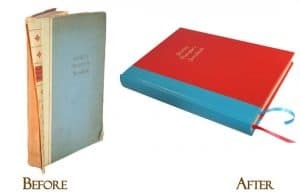 The Paddle to the Sea cover was so damaged that a new one had to be made. 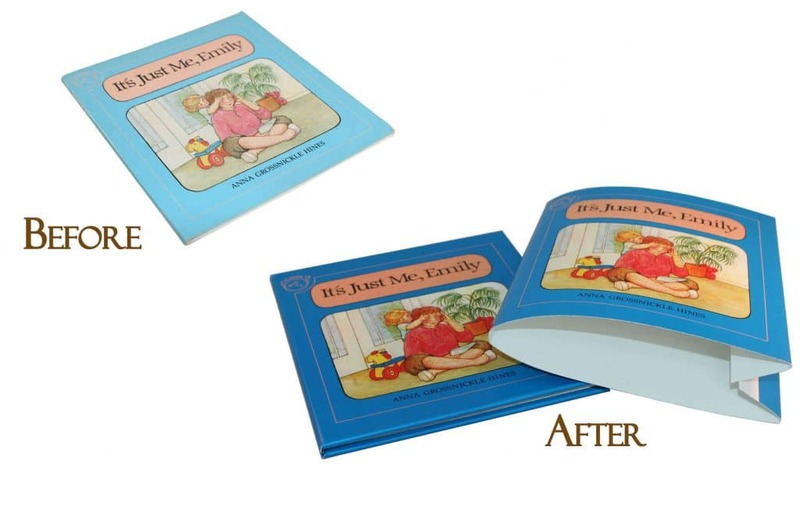 We used graphic design and created new dies and a new cover. 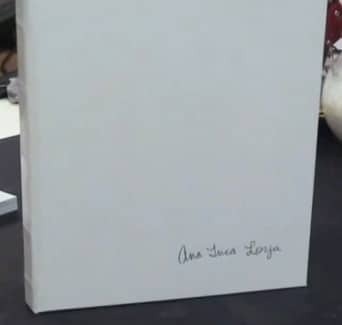 The dies are shown below the new cover. 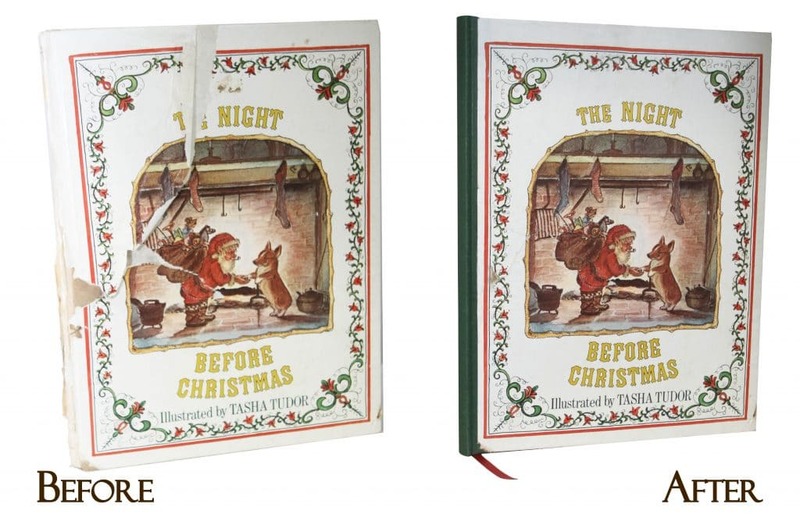 The "Shirley Temple's Storybook" needed a new cover with a fresh look and we accentuated the new cover with matching satin ribbon page markers. 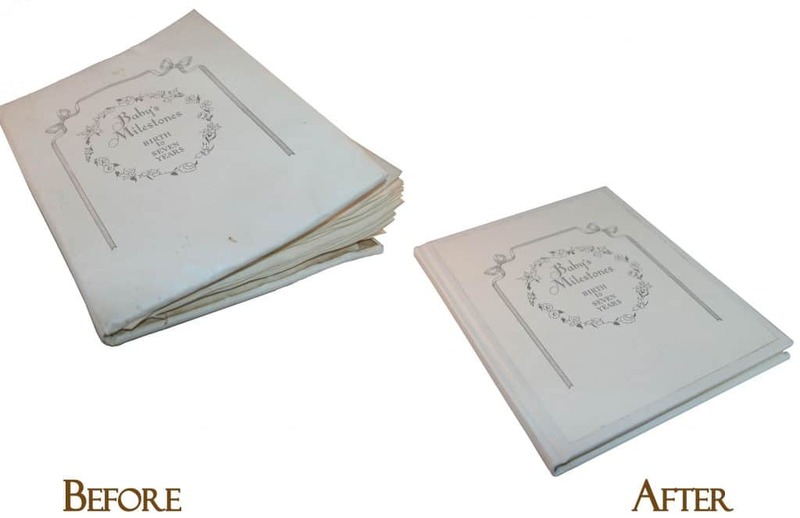 Our supplier advertises this product as "synthetic paper" that's waterproof and doesn't tear. 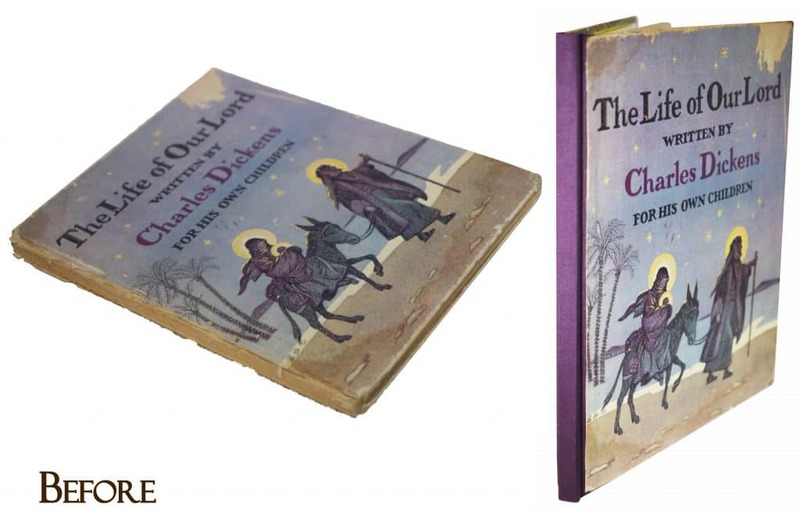 The perfect application is a children's dust jacket. 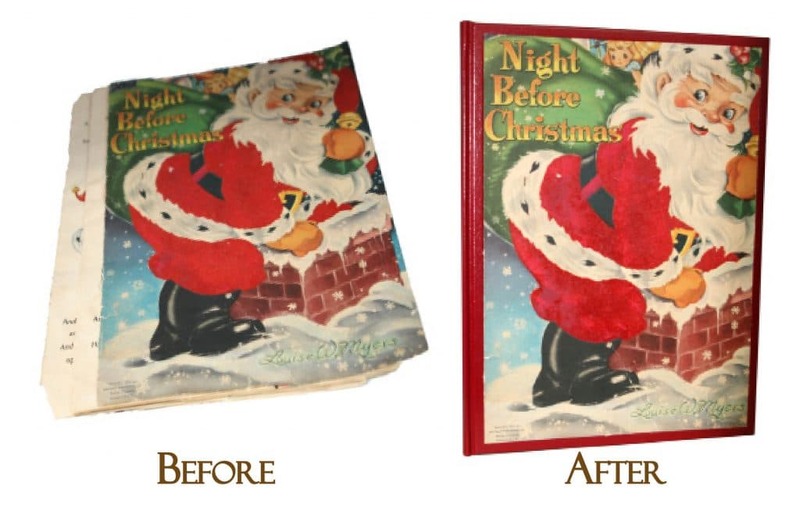 Here, we were able to replicate using graphic design skills and print out a new synthetic cover from an existing torn cover. 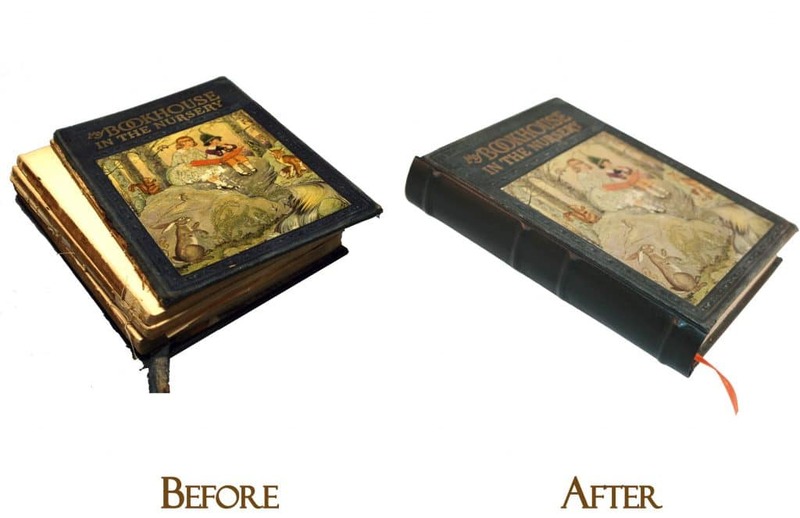 Some covers come to us damaged and need graphic design work to recreate the missing portions of the dust jacket. 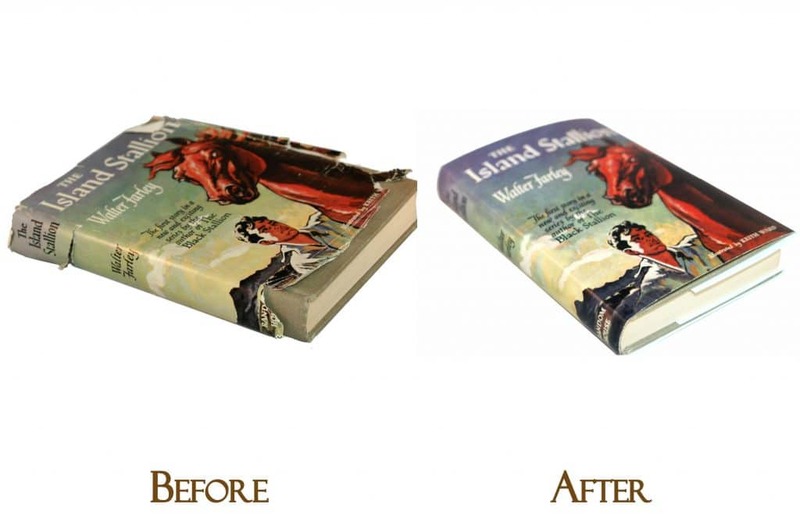 In the first photo of the "Island Stallion", a substantial amount of the bottom jacket was entirely missing. 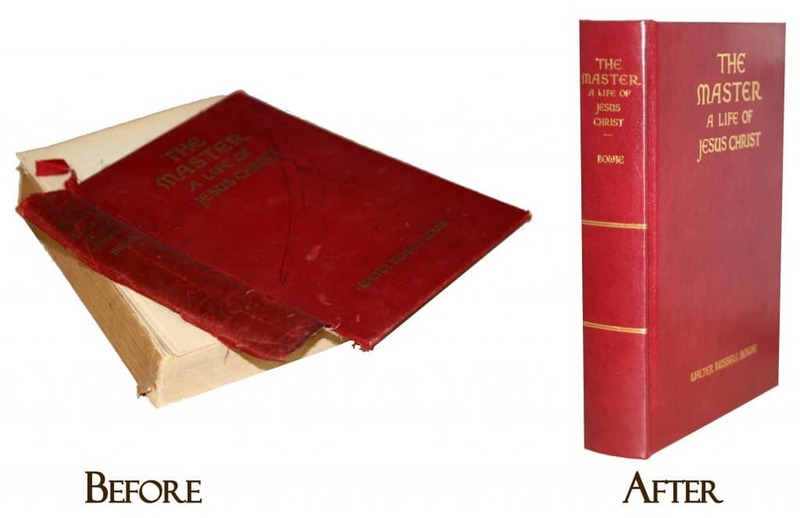 We recreated it and reprinted. 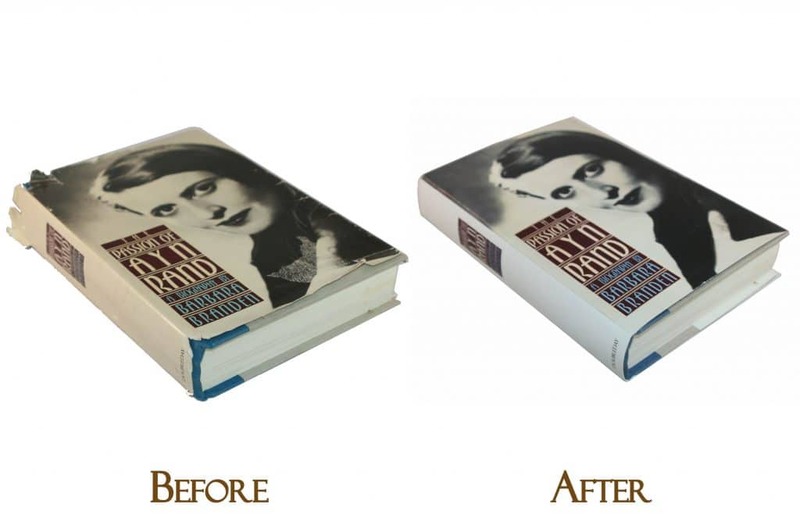 On the Ayn Rand book, the paper jacket was torn and partially missing. 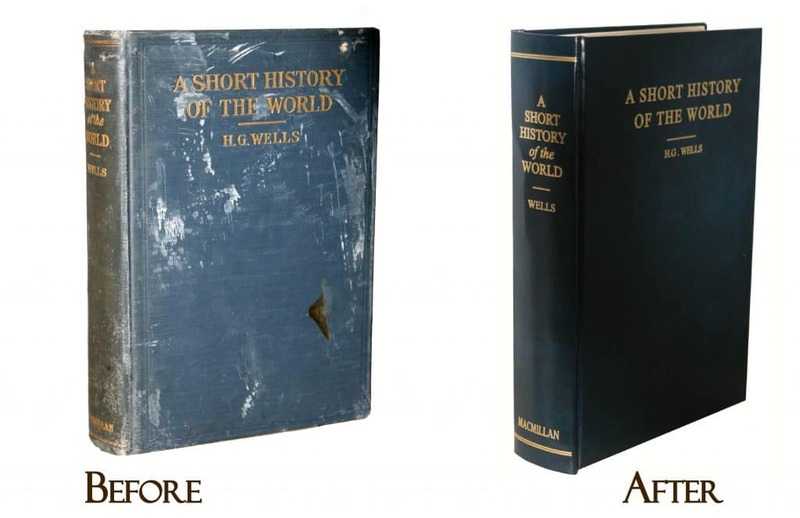 We were able to recreate the missing part of the jacket and reprint for our happy customer.